ISINGIRO– Two years to the general elections 2021, battle lines in Isingiro particularly in Bukanga County have been drown to separate men from boys after the current LCV Chairman Jeremiah Kamurari officially declares his bid to contest against Stephen Kangwagye the current MP for Bukanga. Kamurari made this revelation in a press briefing on Today morning (Tuesday) while addressing journalists at Litle hoods Guesthouse in Mbarara town. Kamurari also known as “Omugogozi” argues that his current position there are certain issues that cannot be handled at his level of a chairman LCV like provision of electricity and tarmac roads, saying these are done by the central government. “In Bukanga we have so many issues ranging from Tanzania-Uganda Border conflict, scarcity of water, land grabbing, elders’ money promised by Museveni all these to be lobbied require me to be an MP because at my current capacity am limited, for the last six years we have had Kangwagye, Bukanga has been a laughing stock because of lagging behind in service delivery,” Kamurari confidently noted. Kamurari during the 2016 elections is the only NRM candidate in Ankole who was voted without any polling agents in the whole district and garnered the biggest percentage win of 98% within Ankole Sub-region. Since voted into power, he has been seen in most cases fighting for his people of Isingiro, he managed to forcefully opened livestock markets which had been closed for the last 10 years under the pretext of foot and mouth disease, he forcefully removed Matooke roadblocks on Isingiro -Mbarara road which he said they were exploiting his people, he staged numerous demonstrations against the refugees at Nakivale settlement camp who had encroached on national’s land which prompted the office of the prime Minister to take action and demarcate boundaries. 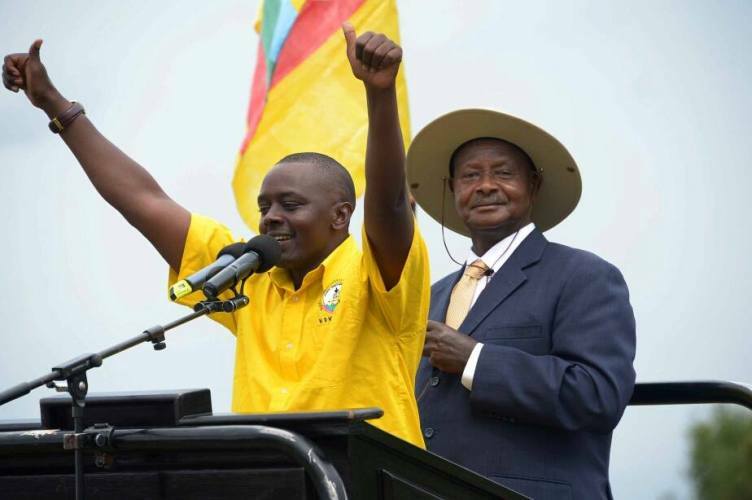 However Bukanga County is a very complicated area since all President Museveni’s young brothers and relatives Michael Toyota, Sodo, Nzaire shedrack have been instrumental in influencing election outcomes in Bukanga, In fact these are the people who fronted Kangwagye and played a salutary role is his first win in 2013 by-election and 2016 general election. On the above Kamurari noted that he cannot be threatened by the state machinery, “we know what they are capable of doing, with the use of guns, intimidation, illegal arrests and vote rigging but all these I have ever tested them so I know the waters I have decided to bath, whether cold or hot let them face my wrath, am also a fighter we shall use all the revolutionary means to win this seat” a confident Kamurari asserted. Kamurari reveals that he came to Isingiro as LCV chairman knowing his future prospects and that he worked towards the same by being pro-people.